Between the chest and the abdomen, there is a big muscle called as a diaphragm that helps you breathe. It is like a partition between the two organs. Sometimes, a part of the stomach gets pushed up through the diaphragm into the chest area. This condition is called hiatal hernia. 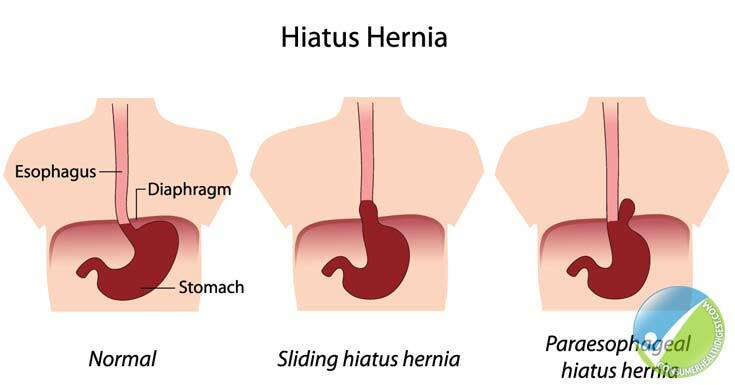 It is so called because the opening through which the stomach pushes itself upwards is called as ‘hiatus’. Generally, it affects people above fifty years of age. The exact cause of the condition is unknown. However, the reason is attributed to muscle tissue weakened owing to damage or some injury. The diaphragm separates your chest from your stomach. There is a small opening in the diaphragm that allows the passage of oesophagus into the stomach. This small opening is called a hiatus. When the muscle in the diaphragm is weakened, it enables the stomach to bulge through the opening right into the chest cavity. Although it is not clear why this happens, many doctors attribute this condition to age-related muscle weakening. Some other factors attributed to this condition are as follows. It is a birth defect for some who are born with an abnormally large hiatus. There are Two Types of Hiatal Hernia. Sliding Hiatal Hernia: This is more prevalent among the two. It occurs when the stomach and oesophagus keep sliding in and out of your chest cavity through the hiatus. Hernias of this type are normally small and do not cause any symptoms. They may also not need any treatment. Fixed Hiatal Hernia: It is called as ‘Paraesophageal hiatal hernia’ and is not very commonly found. While in sliding hiatal hernia the stomach kept sliding in and out through the diaphragm, in fixed hiatal hernia, the stomach pushes itself through the diaphragm into the chest cavity and simply stays there. Mist cases in this form of hernia are not serious. However, there is a risk of blood flow to the stomach getting blocked. In that case, it is a serious medical emergency that needs immediate attention. 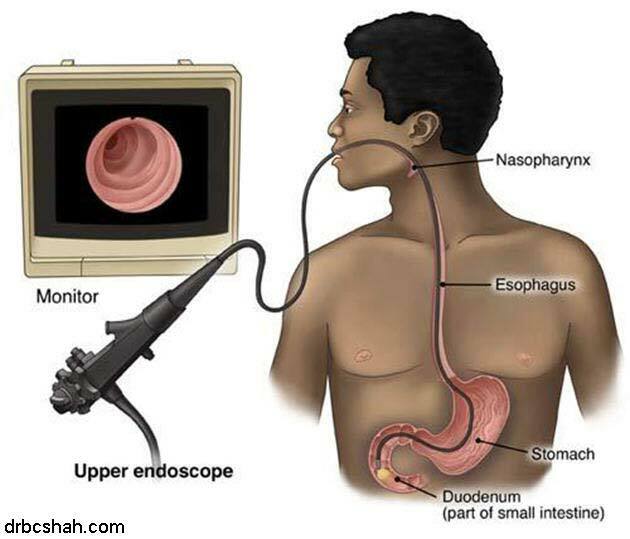 The doctor makes use of an endoscope which is a flexible tube equipped with a video camera and light. It is passed down the throat into the oesophagus and stomach. The video helps the doctor check the internal parts of the stomach for inflammation. 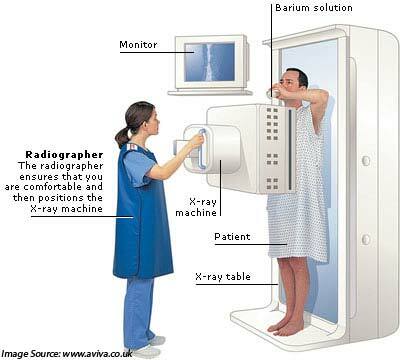 This test is also called as esophagram. In this, you drink a solution containing barium that gets coated on the upper digestive tract. As a result, a clear silhouette of the alimentary canal starting from the oesophagus to the small intestine is obtained on the X-ray. In this test, a catheter which is a pressure-sensitive tube is passed through the nose down the oesophagus into the stomach. 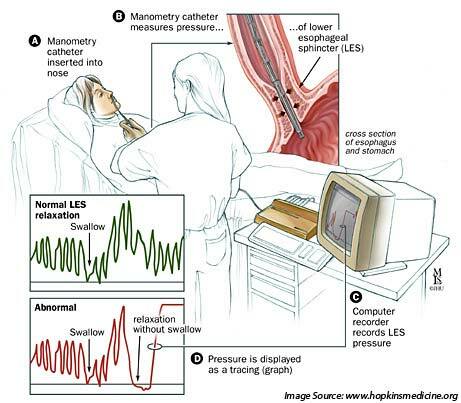 It measures the movement, and pressure within the oesophagus depending on which diagnosis can be done. Before beginning any of the above medical procedures, a basic blood test is done to determine the blood count. This is necessary to check for anaemia owing to blood loss. Since most people having this condition do not experience any symptoms, they do not need any treatment. It often goes untreated. However, recurring acid reflux or heartburn requires medication and in some cases even surgery. In order to treat heartburn and acid reflux, doctors suggest antacid like Tums, Gelusil, Rolaids, etc. They neutralize the acids in the stomach and provide instant relief. 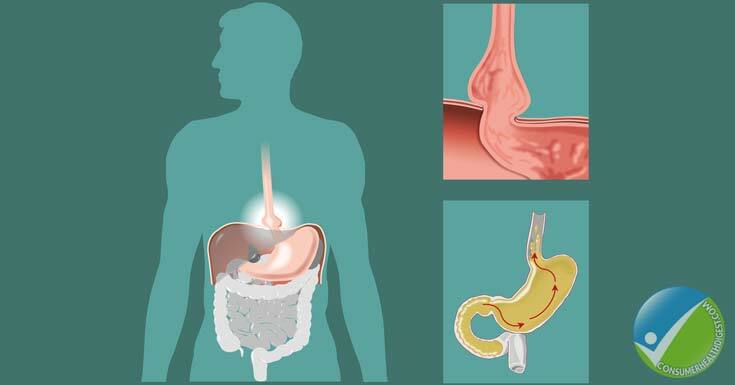 There are also medications like cimetidine, nizatidine, famotidine that reduce the production of peptic acid in the stomach and thus reduce the acid reflux. Another form of medication recommended by doctors is proton pump inhibitor like omeprazole which block the production of peptic acid and heal the oesophagus. Cases of hiatal hernia that require surgical treatments are very rare. It is only for those who get no relief from acid reflux and heartburn despite medications. 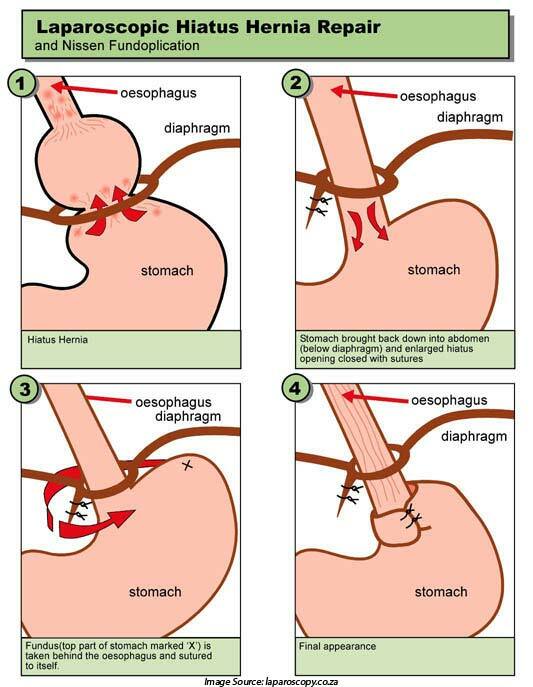 Surgery is performed to pull down the abdomen, make the hiatus smaller and reconstruct the weak muscles of the diaphragm as well as the oesophageal sphincter. Surgical procedures are generally performed using laparoscopy, laparotomy or thoracotomy. While laparoscopy involves inserting a camera with surgical tools through the abdominal incisions, laparotomy and thoracotomy involves introducing an incision in the stomach and chest wall respectively. Avoiding foods that trigger acid reflux and heartburn like spicy food, tomatoes, citrus fruits, onions, etc. Eating smaller meals throughout the day than two to three large meals. Your stomach finds it difficult to digest in such cases. Elevate your head to about 6 inches from the bed. Hiatal hernia can be treated with a few changes in your lifestyle. Practicing yoga or doing some basic exercises at least once a day and walking help reduce the symptoms. In short, a healthier lifestyle is the key to treating hiatal hernia.